Home · Our Portfolio · Adam Seeds Co. Located in Holdrege, Nebraska, Adam Seeds Company is a family owned and operated dealership that provides local Nebraska farmers with exceptional products, technologies, and solutions to ensure they meet their yield goals. They offer help with farming operation year round and provide seeds and equipment to ensure that local farmers have everything they need to be successful. 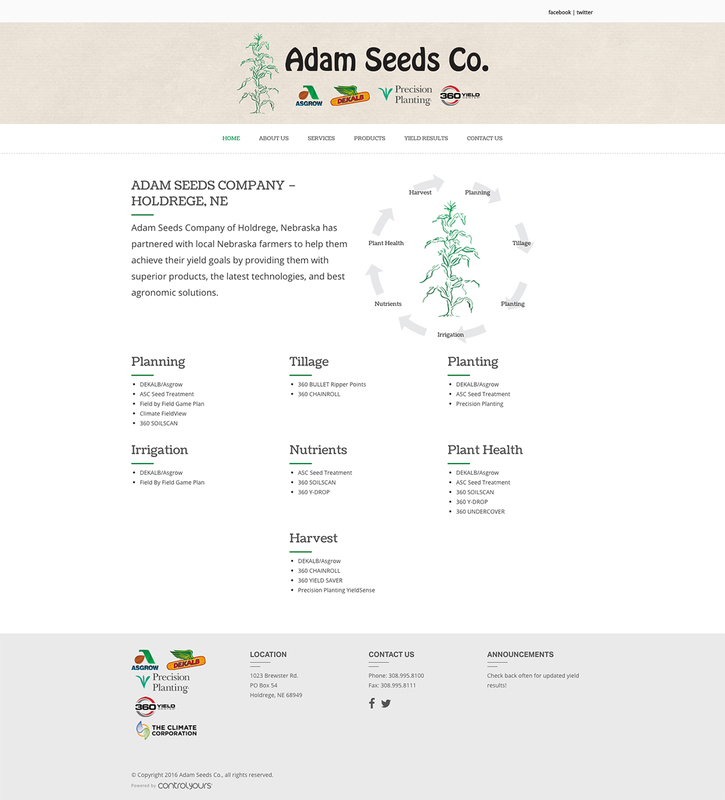 Control Yours worked with Adam Seeds Company to create a clean and lively website to display their products and services. We used subtle, earthy colors and a simple, understandable design to highlight their information. We included a header with logos and links to the websites of all the brands they offer, and we implemented a classic, clickable menu for access to each of their pages. We had a wonderful time working with Adam Seeds Company, and we hope their business continues to grow and prosper!